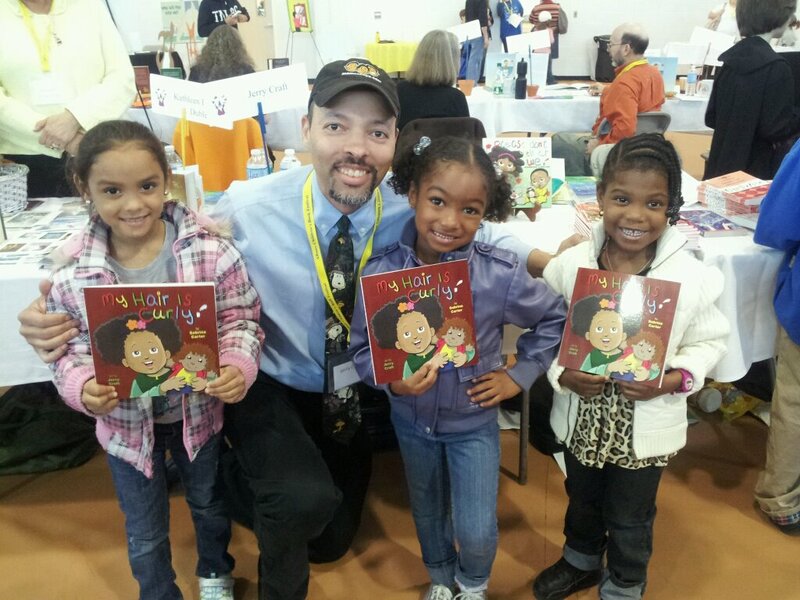 Spotlight on writer/illustrator Jerry Craft! 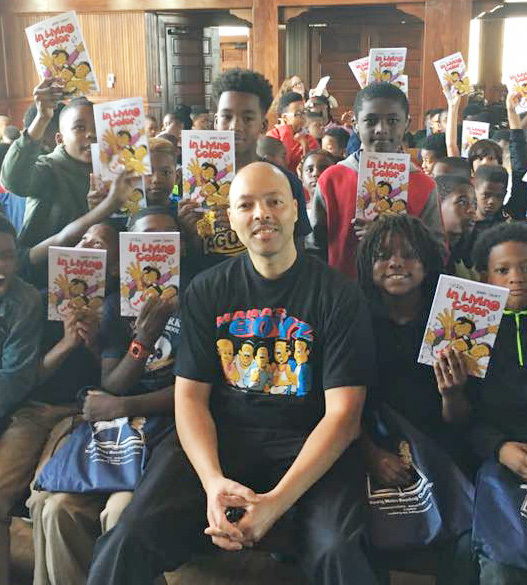 Jerry is an African American Literary Award winner (five times no less) and cofounder of the Schomburg Center’s Annual Black Comic Book Festival. Jerry Craft with a few of his young fans. 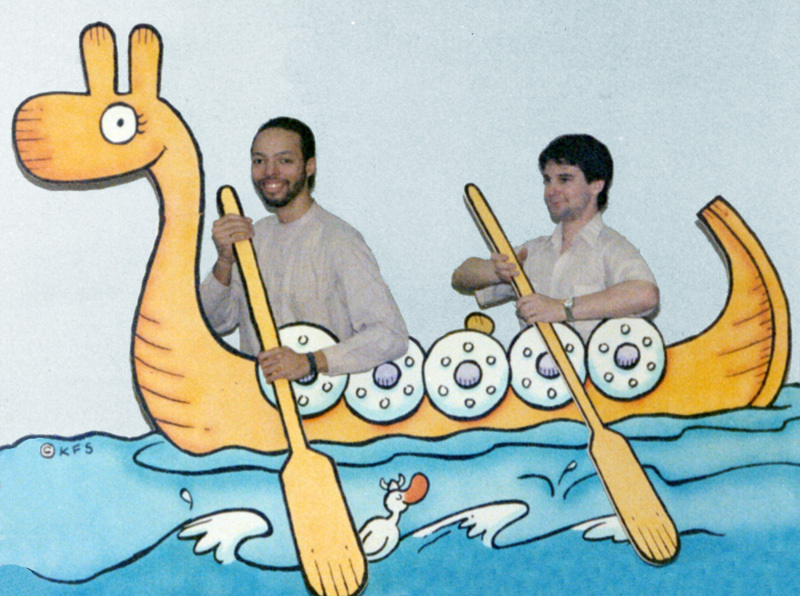 In addition to his numerous graphic novels and books he’s illustrated, Jerry is also the creator of the acclaimed comic strip Mama’s Boyz. 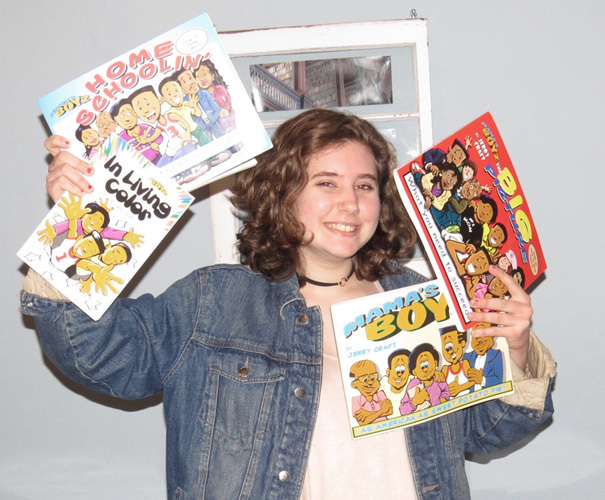 My daughter Tessa with the many Mama’s Boyz book collections we have that are dogeared from repeated viewings. Jerry and I go back a ways. 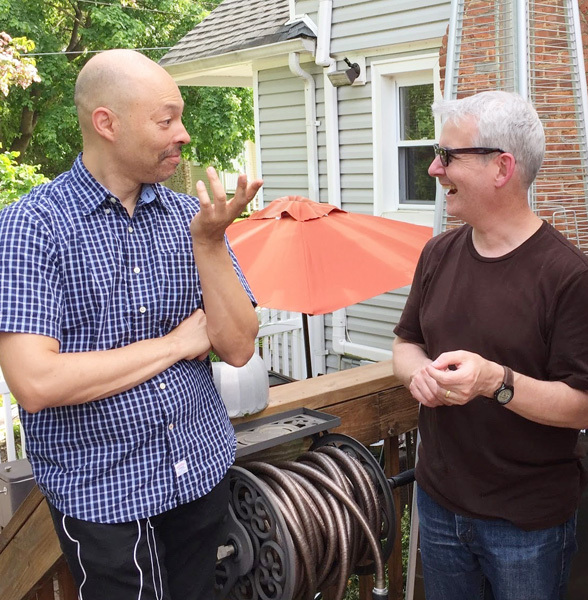 We met at King Features Syndicate back in the 1990s when we both worked in the King Features Comic Art Department. Jerry and I commuting to work before the turn of the last century. 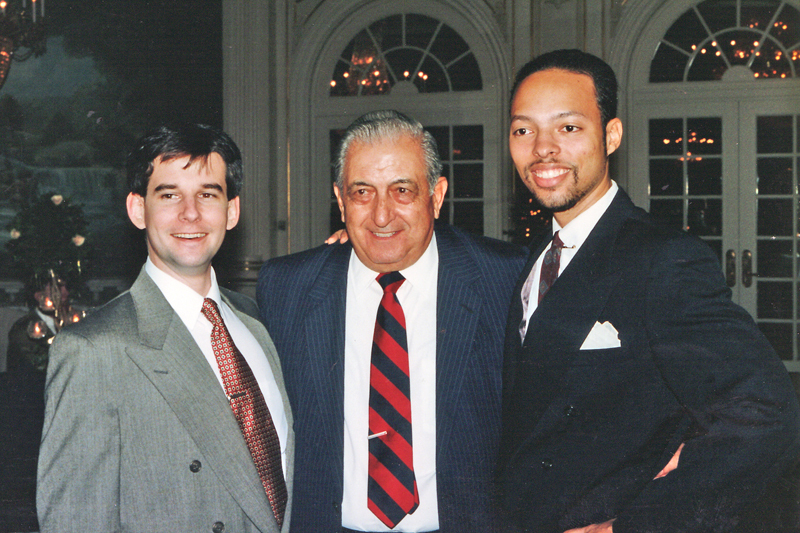 Jerry and I with the Production Supervisor of the KFS Comics Art Department, Frank Chillino, at the 1993 King Features Christmas party. And here’s a more recent pic. Jerry is one of those friends where even if you don’t see them for awhile you can just pick up from where you left off the last time you met. Jerry has put Easter Eggs in his books for my family (like naming a character in one of his graphic novels after my daughter Tessa). 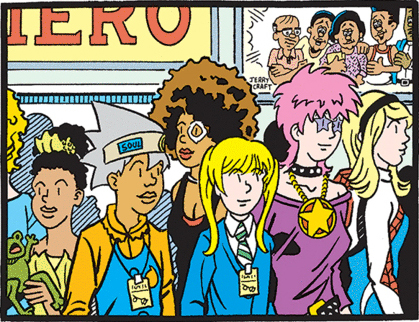 And here’s me returning the favor in the July 8, 2018 Sally Forth Sunday page where the Forth family is at a comic convention. Note the Mama’s Boyz banner on the back wall in panel 5. 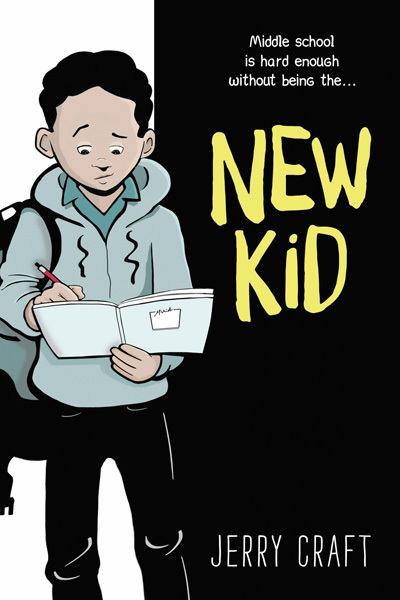 And last but not least an unabashed plug: Coming out next February from HarperCollins, Jerry Craft’s latest graphic novel, New Kid. For more info, check out this article at The Comics Beat. I’ll be posting more info on New Kid as the release date nears. Until then, check out Jerry’s website at JerryCraft.net to order his other books, find out about author visits, watch his cartoons and much more! This entry was posted in Artist Spotlight, Jerry Craft and tagged Jerry Craft, Mama's Boyz, New Kid. Bookmark the permalink.